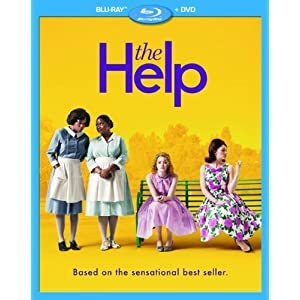 â€œThe Help,â€ based on Kathryn Stockettâ€™s best-selling 2009 novel, is, in some ways, crude and obvious, but it opens up a broad new swath of experience on the screen, and parts of it are so moving and well acted that any objections to whatâ€™s second-rate seem to matter less as the movie goes on. As Denby says, this isn’t a necessarily unpredictable movie. I would add that there’s plenty that this movie glosses over regarding race relations in 1960s Mississippi, but this is a Disney film meant for mass-consumption and a kind of salve on white guilt – along those lines, is it any surprise that the only church scenes we see are uplifting ones in the black churches, rather than the massively racist rants of white preachers at the time? ForÂ the reality of the situation, though, the curious should head to the classroom or to important novels of the time, such as John Howard Griffin’s impactful Black Like Me. That being said, this film, written and directed by relative newcomer Tate Taylor, offers an important primer on the importance of respect and equality, even in the face of adversity. Emma Stone, nominated for a Golden Globe for last year’s flip Easy A earns her status as a leading lady here, capturing the humor, strength and tenacity of Skeeter, a would-be journalist in a tumultuous time. The rest of the cast is equally strong, with Viola Davis and Octavia Spencer providing the emotional gravitas to buoy the story. Davis provides solid and grounded depth while Spencer mixes her performance up providing some much-needed comic relief. Bryce Dallas Howard works exceptionally well as a holier-than-thou white supremacist – all smiles and “love” while working to disenfranchise those around her. Jessica Chastain shows a surprising comic side as a ditzy blonde and Allison Janney continues her streak of Â powerful supporting characters. All said, this is an undeniably strong all-female cast and it’s exciting that a film like this performed so well at the box office. The story itself centers around Skeeter (Stone) on her return to Jackson after completing a degree in journalism. Deciding that she wants to make a difference with her writing she sets out to record the stories of the local maids in the area – what it’s like for them to make a living raising white children while their own children sit at home, perhaps under the care of someone else. There’s a lot of discussion of the risk these women face exposing their employers to a journalist, and not much payoff in that area, but luckily that’s not the only story here. With the aforementioned supporting cast in tow, Skeeter covers much more emotional and political ground over the course of the movie. Overall, The Help does simplify things a bit, creating some caricatures and predictable situations, but Taylor was lucky enough to have a dynamite cast on his hand that handles even the cheesiest of dialogue with a deft hand. Towards the end, each and every scene turns into a tearjerker, and this somehow manages to be a welcome and appreciated dramatic turn. The Help may not be the deepest movie of the year, but it offers important lessons and stories for our own time. As awards season approaches, here’s hoping that the powerful acting in this film won’t be overlooked. 1 user commented in " Movie Review: The Help DVD/Blu Ray Combo "
This movie should win every award possible. The story maybe sugar coated, but gets its point across- being black in Mississippi was dangerous. All the cast members were wonderful. They were completely believeable. I have never seen a movie before in which all the actors gave such a stellar performance. I’ve already watched this movie twice and I’m sure I will watch it again.